In this labyrinth where the night is fine, the phantom is here inside your mind. You have been a master of traffic and mobile marketing, then in this night you are the phantom of a new maze as profound as the mobile world. Mobvista & Tune, present a night to get your pre-GMIC cocktail party going. 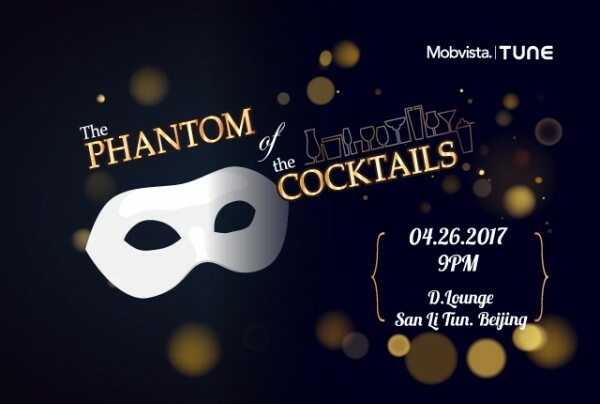 With the soft music, cocktails and the phantom, we promise you a unique meet-up. The party has free and limited entrance, all the cocktails and wines are on us. Be sure to RSVP so secure your spot! Mobvista is the world’s leading mobile ad platform that ensures products’ digital ubiquity and maximizes monetization at global scale. Channeling quality and targeted traffic from 243 countries and regions, Mobvista owns a user database covering over 2 billion devices and 3000+ user targeting labels, reaching over 10 billion daily impressions through boosting tech innovation and excellent customized service. TUNE is replacing old marketing technologies with innovative solutions that help today’s marketers and their partners effectively manage marketing campaigns, engage the right audiences, optimize performance and grow their business. TUNE’s solutions are the most trusted among the top-grossing mobile marketers and the largest scale advertising platforms, with an attention to accuracy, reliability, and transparency.